How well are we doing in terms of project achievements? Are we implementing activities as planned in designated timeline? What data are we collecting and why? What are the lessons learnt to improve project implementation? Evaluation will be conducted at specific period in the life of the SERVIR-E&SA, usually at the mid-term or end of the project. Evaluation will verify whether project objectives have been achieved or not. It is a management tool which can assist in evidence-based decision making, and provide valuable lessons to implementing organisations. Did the project contribute to increased use of tools, products and technology in decision making to solve societal problems? What is the evidence? What evidence is there that the project has improved the capacity of institutions and changed the lives of individuals or communities? How relevant is the project in relation to beneficiaries and stakeholders? What is the evidence? What were the key project results? What factors contributed to and/or hindered these results? 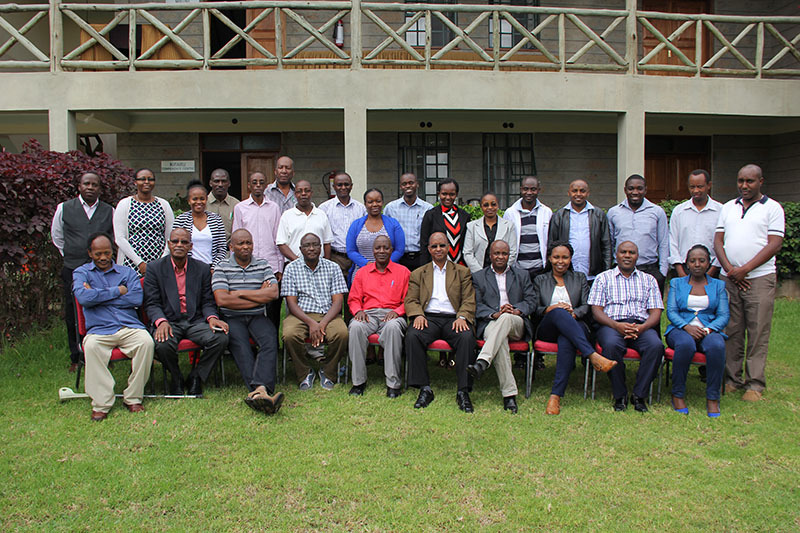 How has SERVIR-E&SA project improved the management and institutional capacity of RCMRD to provide earth observation and geospatial information services in Agriculture and Food Security, Water and Hydro-climatic Disasters, Land Cover, Land Use Change and Ecosystems, Weather and Climate? What is the potential for sustainability, expansion and replication of SERVIR- E&SA project in other countries? Were the available resources (human, financial) utilized as planned and used in an effective way? What are the lessons learned from SERVIR-E&amp;SA project? How should these lessons be utilized in future planning and decision making?